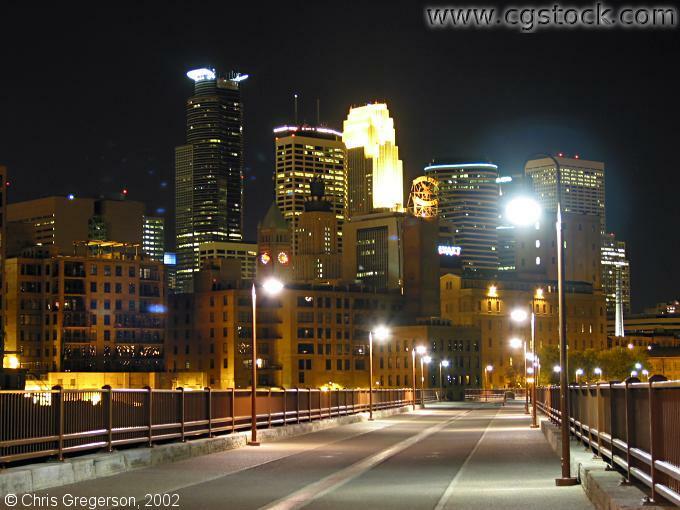 You are standing on the Stone Arch Bridge at night, looking southwest towards the downtown Minneapolis Skyline. This is a pedestrian and bike only bridge, and connects Old Main Street on the east side and 1st Street on the downtown (west) side. This picture was taken with a Canon G2 digital camera in manual mode.